Donna Mae Carlson (nee Danielson), 84, of Stewartville, passed away on Monday, July 24, 2018 at Mayo Clinic, St. Marys campus. Donna was born on Nov. 19, 1933 in Dassel, to Charles and Cecelia (Semrue) Danielson. She attended Lamson grade school and was a 1951 graduate of Dassel High School. She went on to attend Willmar Practical Nursing School and graduated in 1952. Donna worked for various hospitals and nursing homes in Minneapolis, and the Veterans Home in Minneapolis. She retired in 2003 after being an LPN for 50 years. Donna married Charles F. Carlson on Oct. 3, 1981 and they lived in Minneapolis until his death in 2002. Donna moved to Stewartville in April of 2003. 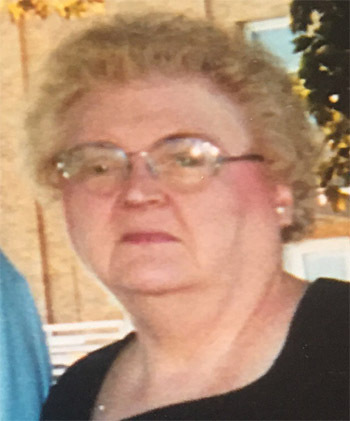 Donna was a member of the VFW Auxiliary, past president of the James Ballentine post, a member of the Stewartville American Legion and active with Union AFLCIO Local 744. Donna loved to play bingo, collected ceramic chickens, going to casinos and was a huge Minnesota Vikings fan. She was a caring, loving and sweet lady with a feisty side that didn't take grief from others. She will be truly missed. Donna is survived by her special friend of 40 years, James Hundertmark and his son, Ryan of Stewartville; Jim's daughter, Becky (Eric) Fox and their three daughters; nieces, Sherry and Annette Reps; nephew, Troy Reps; close cousins, Rosey and Roger Herdina, Pat Eiler, Robert and Roger Lang; Jim's three sisters, and Mike and Sue Macho and their three children. Donna was preceded in death by her husband, Charles F. Carlson, parents, Charles and Cecilia Danielson, brother, Kenneth and sister-in-law, La Verne. A graveside memorial service will be held at 1:15 p.m. Monday, Aug. 6, 2018 at Fort Snelling National Cemetery. Arrangements entrusted to Ranfranz and Vine Funeral Homes, 5421 Royal Place NW in Rochester.